Construction has been completed on Hunter Professional Plaza at 151 Stagecoach Trail in San Marcos, Texas. 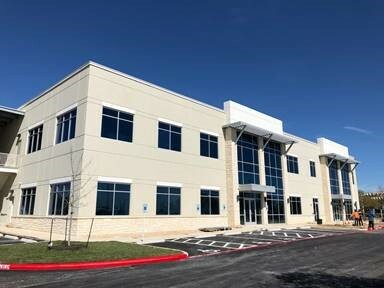 (MARCH 26, 2019 – SAN MARCOS, TEXAS) – Transwestern Commercial Services (TCS) today announces Kogut Commercial Real Estate and Mittman Real Estate completed construction of Hunter Professional Plaza, consisting of 25,240 square feet of medical office space. 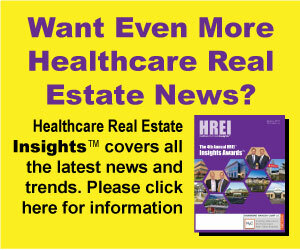 Located at 151 Stagecoach Trail in San Marcos, Texas, the building is 41 percent leased. TCS Senior Vice President Ken Adams, Senior Associate ‘Licia Shreves, and Associate John Grubb are providing healthcare leasing services for the project. A ribbon-cutting ceremony at Hunter Professional Plaza. 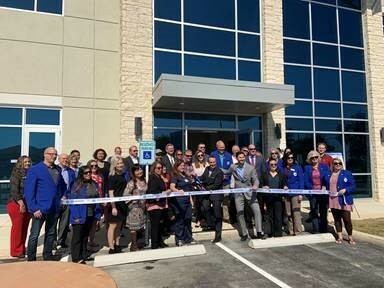 Hunter Professional Plaza: Construction has been completed on Hunter Professional Plaza at 151 Stagecoach Trail in San Marcos, Texas. Ribbon-Cutting Ceremony: A ribbon-cutting ceremony at Hunter Professional Plaza.